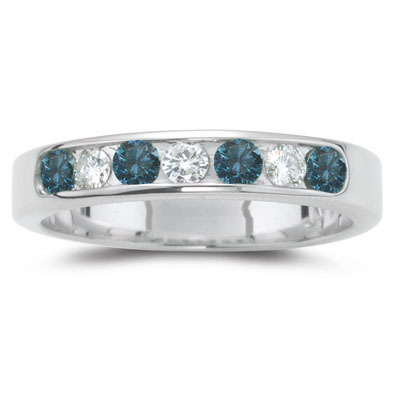 0.13 Cts Diamond & 0.18 Cts Blue Diamond Ring in 14K White Gold . This awe-inspiring Blue Diamond Ring emphasizes four fabulous round Blue Diamonds and three sleek Diamonds channel set in 14K White Gold. Approximate Diamond Weight: 0.13 Carats. Approximate Color Diamond Weight: 0.18 Carats. 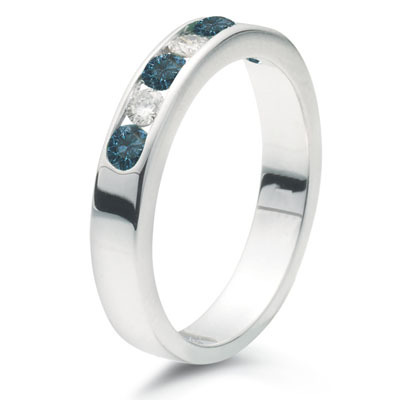 A contemporary ring defining extraordinary style.